Former Palm Beach Gardens police officer Nouman Raja is trying to get his trial moved out of Palm Beach County. 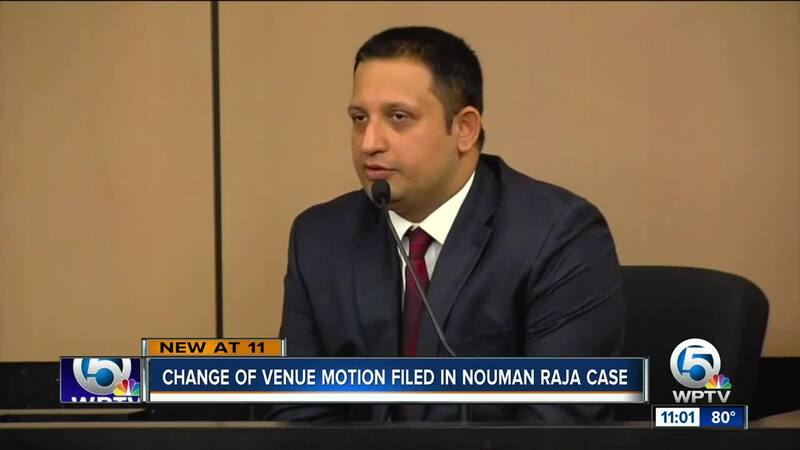 PALM BEACH COUNTY, Fla. — Former Palm Beach Gardens police officer Nouman Raja is trying to get his trial moved out of Palm Beach County. 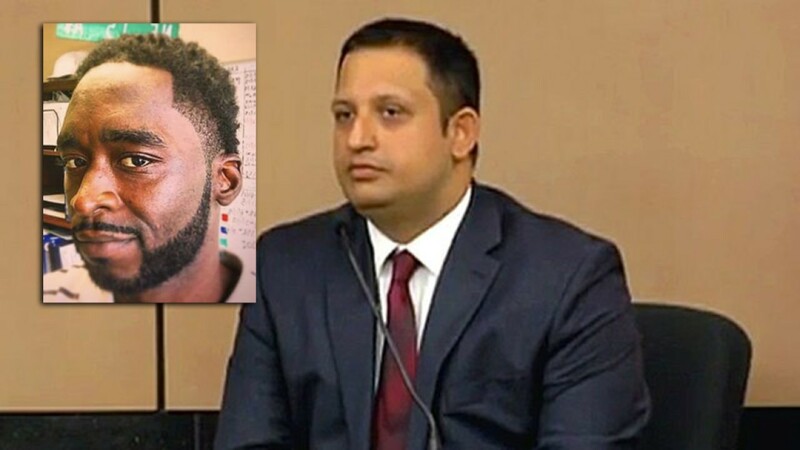 Prosecutors said Raja shot and killed Corey Jones in October of 2015 after the musician's car broke down on the off-ramp of Interstate 95 in Palm Beach Gardens, and he was waiting for a tow truck. Raja's attorneys officially filed a change of venue motion on Monday to move the trial out of Palm Beach County, saying there is an "unquestionable inflammatory community atmosphere." The issue of pre-trial publicity has been a main topic of late, with concerns over how much potential jurors know about the case. At a hearing last week, Raja's defense team indicated they would be filing this motion soon. It's unclear if Judge Joseph Marx will hear this motion before Raja's trial starts on Feb. 22, or if the motion has been filed in the event attorneys cannot sit a jury in Palm Beach County. The Palm Beach County State Attorney’s Office said Raja, who was a police officer at the time of the shooting, approached Jones’s vehicle in an unmarked van on Oct. 18, 2015. Raja was dressed in plainclothes, but never identified himself as an officer. Raja told FBI investigators Jones pulled a gun on him, and that's why he opened fire. The FBI said Jones had a legally owned gun with him that night, but it was never fired. Last June, a judge denied Raja's attempt to use the Stand Your Ground defense. Raja is charged with manslaughter by culpable negligence while armed, as well as attempted first-degree murder with a firearm. The state expects the trial to last three weeks, including jury selection. The defense believes it will run four weeks.